Image: Chee Siong Teh/EyeM/Getty Images. Design: Ashley Britton/SheKnows. Back-to-school means starting fresh — for kids and parents alike. A new teacher, new classmates, a new grade, a new and revitalized attitude toward school… and often all-new school supplies and clothes to boot. But how are companies marketing to that back-to-school desire to start over — and at what (and how wasteful a) cost? There’s a reason one particular business supply store created a commercial that played a Christmas song as a parent joyfully shopped for school supplies. All that new stuff makes it feel like Christmas! But there are so many things we don’t actually need to buy in order for our kids to successfully return to school. I’m not suggesting you ignore an entire list of supplies that’s been sent to your child, especially when some of those supplies are meant to make up for education budget shortfalls at the school itself. 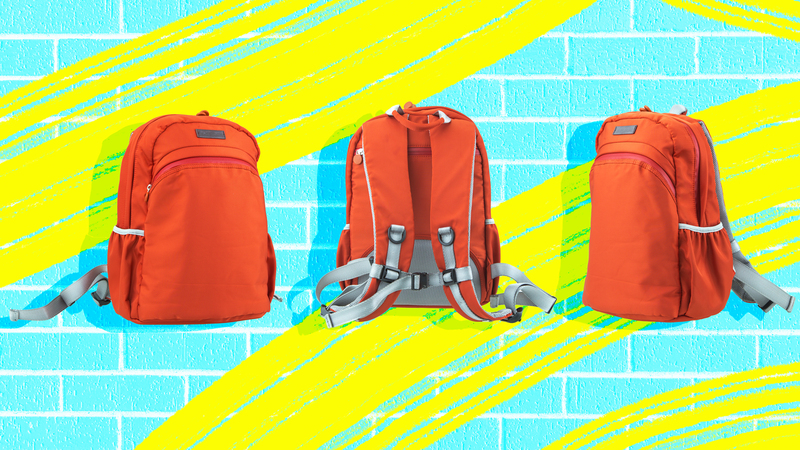 If, however, you’re looking to reduce your environmental footprint (or stop reducing your bank account), here are some suggestions for what you don’t need to buy for back-to-school. I can remember being a kid and "needing" to have a special first-day-of-school outfit, so I’m not going to argue this too much. Sure, get your child an outfit they’ll feel confident in as they walk into the unknown. But if you think that same kid magically changes sizes the moment they start a new grade, the clothing stores have gotten inside your brain. Chances are, the weather is the exact same for the start of school as it was the week before. Let kids wear summer clothes a bit longer; then, sort through your kid’s early spring clothes to see what still fits as the weather changes. I would also highly recommend shopping at a gently used kids’ clothing boutique, either online or in person. When they’re young, they don’t realize their clothes aren’t brand new (and don’t care); as they get older, you can talk to them about how cool it is to buy clothes in vintage stores or at the local thrift shop. Sure, if your kid dragged their backpack to and from school every single day last year, you may need to get a new one. If it’s relatively unscathed, though, why would you invest in another? One way to add new life to last year’s backpack is by sewing a few patches on it or letting your kid go wild with fabric paint. Yes, you’re still spending some money on the additions, but you’re wasting far fewer resources. Similar to clothes: Your kids likely don’t need brand-new shoes for the first few weeks of school. And buying new ones in their old size knowing they’ll likely be growing out of them soon is pretty irresponsible, environmentally speaking. Pencils, erasers & crayons, oh, my! I’m not sure where it’s written that all your kid’s pencils need to be brand new and freshly sharpened. The same goes for their erasers. If your kid is anything like mine, they’ve already received approximately 43 erasers in various shapes and sizes over the years — from loot bags, Halloween, you name it. Parents, do yourselves a favor: Keep those erasers in a box for future use. The same goes for that pencil case/box and lunch bag your child used last year. Is it broken? Moldy? Stained and gross? Go ahead and replace it. Otherwise, there’s no reason not to reuse it. These two items are often made to be used again and again. If your kid’s school doesn’t require you to purchase one through the school, you can be better to the environment by purchasing a planner shell in which you can replace the inside paper year after year. Decorate it with stickers or decoupage to make it feel fresh — and to reinforce any wear and tear. Ultimately, far too many of us have been convinced (or rather, we’ve convinced ourselves) that we need to completely start over every August or September — and we've convinced our kids, too. If we can begin teaching our kids that all that new stuff isn't "cool" as much as it is wasteful and destructive, perhaps we’ll see more kids diving into "reduce, reuse, and recycle" just as much as "reading, writing, and 'rithmetic" this school year.